RESIDENTS in one Ipswich suburb say they are so rattled by ongoing crime they can take no more. Lyn Ellul and her husband Manuel from Brassall say "enough is enough" after being the victims of multiple attempted thefts and vandalism. 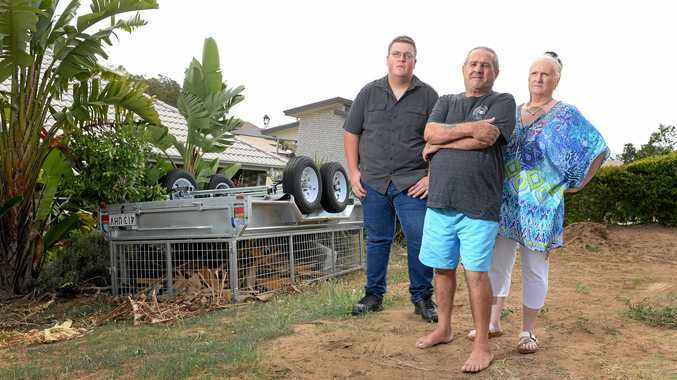 They said the most recent incident, where would-be thieves tipped over their new trailer in their front yard on Monday night, cemented their decision to move away for good. "I was sitting watching television and my husband was listening to music. I heard this car, it was hooded up, and then I heard a loud bang. I thought someone had crashed out the front of the house," she said. "I raced outside and I couldn't see a car, but I turned around and saw the trailer was upside down. "The trailer was full of wood, and had big heavy chains on it and nut locks on the tyres, so they weren't going to be able to steal it. "It must have been some pretty strong, hefty guys to actually push that over. "The police came out with the dog squad and did a few extra patrols, but more needs to be done to keep us safe." If it wasn't for a garden bed and a tree, the trailer could have rolled down into a bedroom in the front of the house. 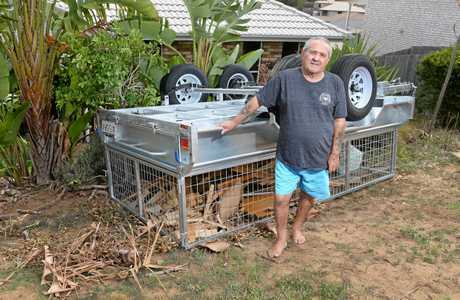 "We are just lucky it didn't come crashing into our house," Mrs Eullel said. Neighbours in surrounding streets said a number of cars were also broken in to and windows smashed that same night. In a separate incident, the pair said they were threatened by a man with a cricket bat as they were packing things into their car only weeks ago. Mrs Eullel said things had gotten so bad in Brassall that something was happening daily, meaning people "were living in fear in their own homes". 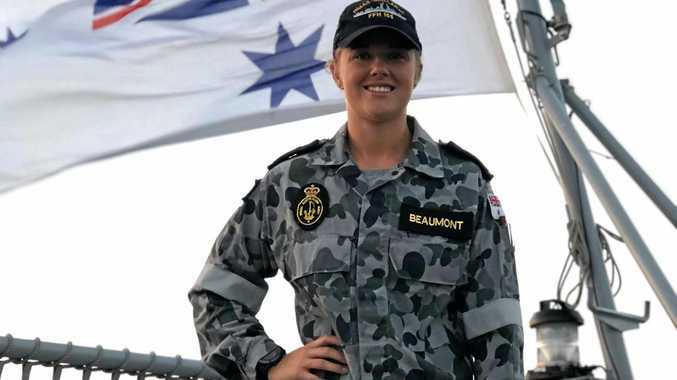 A Queensland Police spokesperson said "Ipswich police conduct regular patrols in and around Brassall to ensure a strong police presence in the area". "Brassall is policed by officers from Karana Downs and Ipswich stations. Members from specialist units including the Ipswich District Tactical Crime Section, Ipswich District Property team and Road Policing Command also provide further policing support," the spokesperson said. "Police from Karana Downs have a strong working partnership with local businesses and schools in the Brassall area with a School Based Police Officer situated at Ipswich State High School. "Police encourage residents to be security conscious and ensure their homes and vehicles are secured at all times. "Anyone with information regarding suspicious activity in the area is urged to contact Policelink on 131 444 or if the crime is in progress or the situation is life-threatening, they should call Triple Zero (000)."